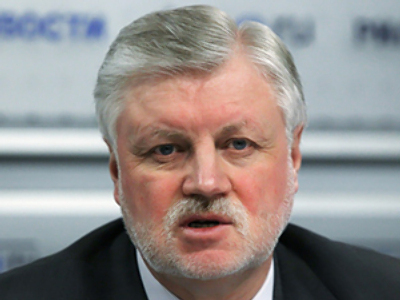 Although the Fair Russia party has accepted Sergey Mironov’s resignation, he will nevertheless lead it in the parliamentary election in December. ­The party’s congress over the weekend supported Mironov’s decision to concentrate on work with personnel and preparations for the State Duma campaign. The speaker of the Federation Council, the upper house of the parliament, will lead the party’s list of candidates in the parliamentary election due to be held on December 4. Mironov said he would remain the party’s leader, but will be engaged “in precisely political work with the personnel.” The organizational work now will be in the hands of the new chairman, Nikolay Levichev, who headed the party's faction in the State Duma. Fair Russia, the opposition party that focuses on social issues, is going through a major reorganization. 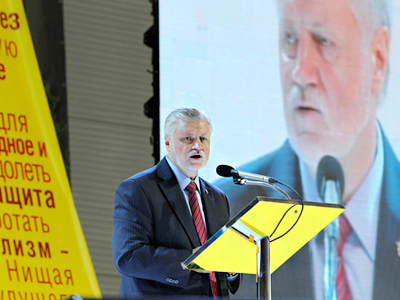 According to Mironov, during the presidential election campaign next spring the entire party’s leadership will be re-elected, including the chairman and members of the Central Council. 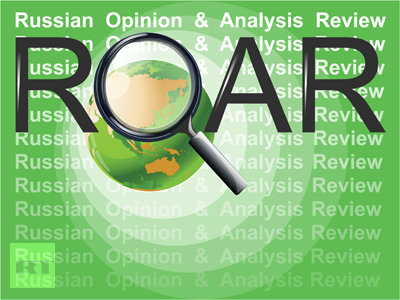 Many say the overhaul is needed because Fair Russia began to lose its positions, and its chance of entering the next parliament has been weakened recently. Levichev is largely considered “a technical leader.” He described the current reshuffle and the emergence of his “tandem” with Mironov as another sign of the party’s democracy. He also believes the fact that he now chairs both the party and its faction in the State Duma will be advantageous for Fair Russia. Mironov, who has been the party’s leader since its foundation in 2006, will also head the board of the Chamber of Fair Russia’s deputies. 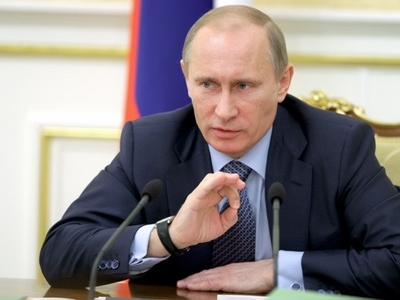 He has already promised to attract “new interesting people” as the party’s candidates for the parliamentary election. The Federation Council’s speaker also said his party will not support any presidential candidate nominated by the ruling United Russia party. He believes President Dmitry Medvedev and Prime Minister Vladimir Putin will agree on which of them will run for president in 2012. Otherwise, people’s votes would scatter and “a third force” could appear, he said. Medvedev and Putin are members of one team, and if both of them run in the election it would not be in the country’s interests, Mironov said. 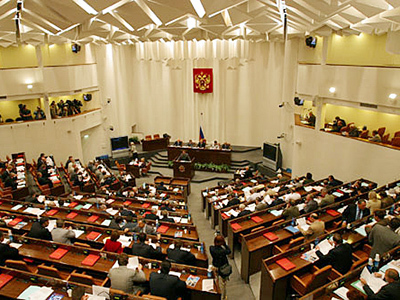 Fair Russia will nominate its own candidate at a congress in the fall. Analysts say Fair Russia was supposed to take votes from the Communists, but it turned into United Russia’s rival instead. 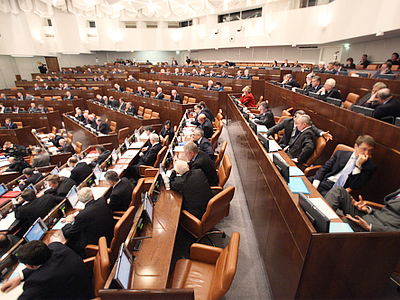 The ruling party has also sharply criticized Mironov’s work as the upper house’s speaker. Andrey Isayev, first deputy secretary of United Russia’s general council, told Kommersant daily that Mironov “occupies the third main post in the state and still positions himself as a leader of the opposition party.” The speaker also promised to make its party the second in the country, but failed, Isayev said. 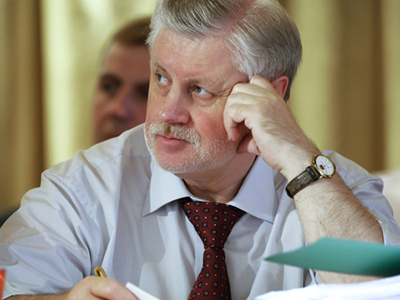 Neither Mironov, nor Levichev can be called “too charismatic” as leaders, the politician added.